Double cleansing is having a major moment, both in the beauty world and in my skin care routine! Taking care of my complexion is major, for me and I'm always happy to try new, quality skin care that helps me do just that. If you'd like to know more, read on. Simply put, double cleansing is a two step process that thoroughly sweeps away makeup, even waterproof and long wearing formulas as well as dirt, excess oil and pollution, leaving skin sparkling clean and fresh without stripping it of it's natural moisture barrier. After removing my eye makeup, I dispense a dollop of Dermalogica Pre Cleanse Balm - $45.00, 3.0 oz. - into the palm of my hand and apply it to my face, working it into my skin in circular motions, letting it soften and begin to break down and lift the detritus of the day. Next, I add a little water to emulsify the balm into a creamy cleanser and I grab the included soft, nubby silicone cleansing mitt and go to town. Rinse and move on to step two to complete my Dermalogica Pre Cleanse. 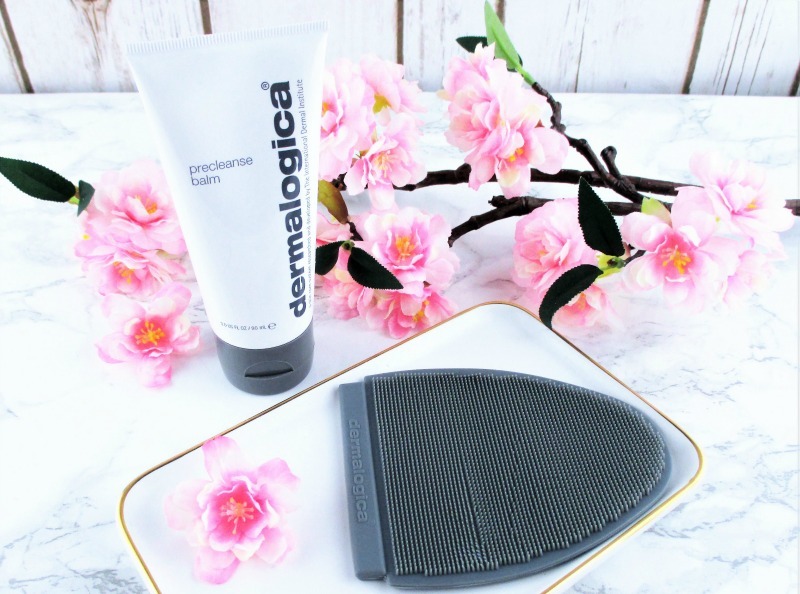 Dermalogica Pre Cleanse Balm has the gentlest hint of a mint/lavender scent that doesn't linger. What's the Deal With That Mitt, Anyway? Grey, made of baby soft silicone, on one side, are many (how many? I don't know... I didn't count them, Dude) soft fingers that gently get deep down and power the gunk off of my skin. On the other side is a demi lune of firmer nubs that massage and stimulate and leave my complexion feeling rejuvenated and alive. After use, I give it a quick wash with liquid hand soap, rinse and pat it dry with a clean towel and it's ready to go, the next time. I really dig that little mitt and it works great with a lot of different facial cleansers. It would also be nice to take along on a trip, rather than lugging a powered facial cleansing device. Dermalogica Special Cleansing Gel - $37.00, 8.4 oz. -is a soap free deep cleansing gel enriched with Quillaja Sopnaria and Lavender Extract that remove impurities and enhance cleansing while Balm Mint cools and calms my skin, leaving it feeling refreshed, comfortable and ready for the rest of my skin care. 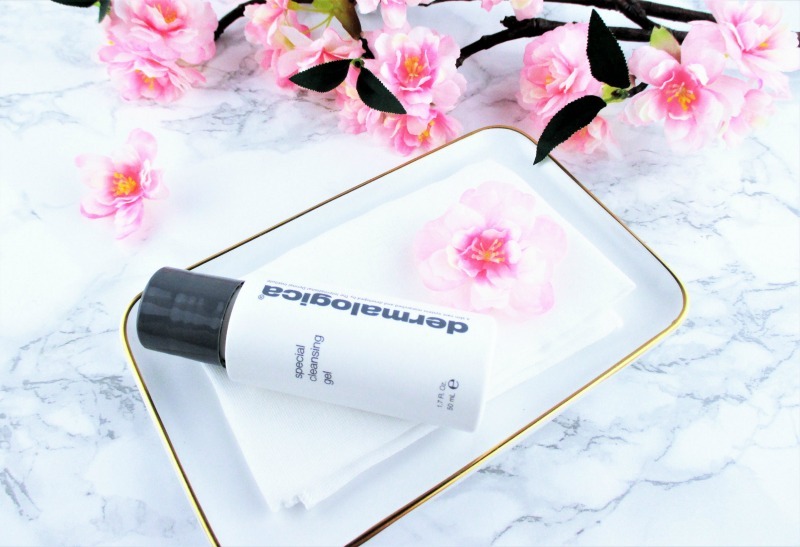 Dermalogica Special Cleansing Gel has very little scent; it smells like clean skin care with the barest zephyr of lavender. 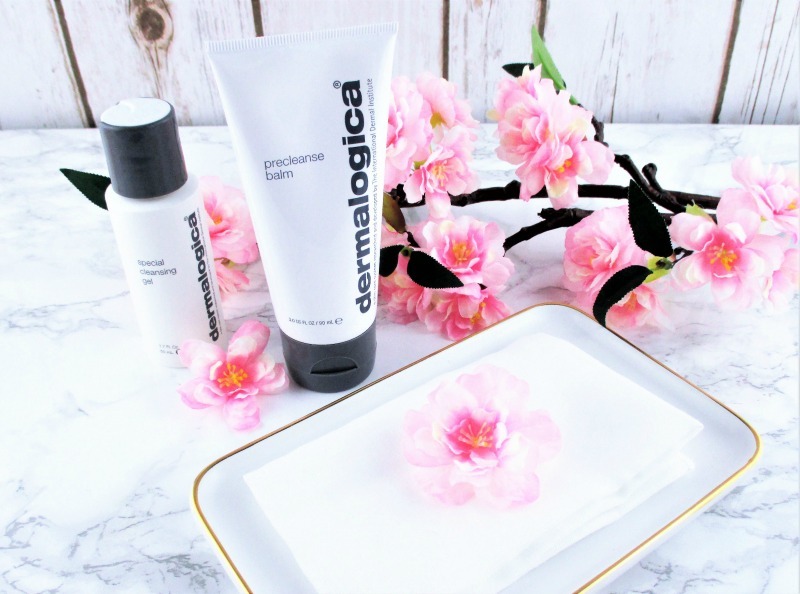 Dermalogica skin care is available at ULTA Beauty, online and in store, and Nordstrom. Dermalogica is cruelty free. Double cleansing is a must. I love cleansing balms! Both cleansers from Dermalogica sound lovely. I was looking at products from the brand just today because I was surprised to see them at CVS! Did you say CVS???? Yasss! Must check. Love the little mitt! Sometimes fingers don't really get into the fine lines and wash clothes don't either. Great review! I love that mitt. It gets my skin so clean. And no batteries needed. Everything I've tried from the brand has worked beautifully. I a real fan of Dermalogica! I've tried a moisturizer, too. It was so excellent. When I have worked through some of my backstock, I'll treat myself to a jar. 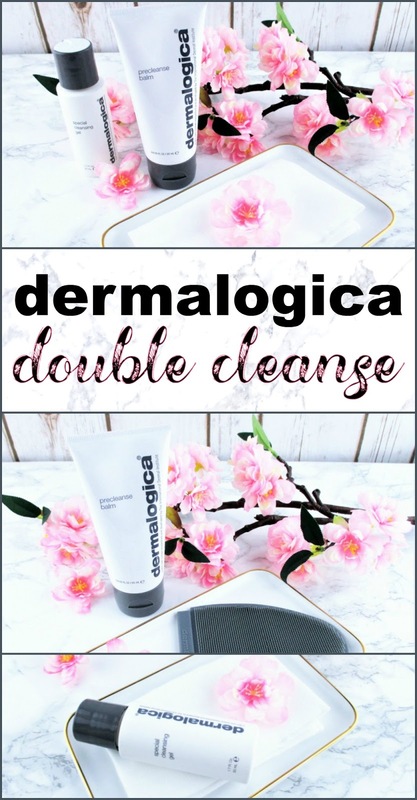 I haven't tried double cleansing, but this particular 2 step process sounds like such a good routine. And I love that mitt! Double cleansing really works and that mitt is so nice. I don't see how you can NOT double cleanse if you wear long-wear makeup like everyone does these days! Totally agree! Plus it makes my skin feel so incredible. the precleanse is my favorite. I love double cleansing. That balm is the stuff. Love the mitt! I'm in love with Dermalogica. I want all of the things! I always double cleanse-- love using this for the routine! Double cleansing leaves my skin so clean and refreshed. The mitt seems like a great help! Also your photos are lovely! The mitt is a good little tool. It's so soft but effective. And thank you so much for your kind words about my photos. I feel like I don't need to spend this amount for skincare. I use Lush and it's medium priced and works well for me. I've yet to try Lush skin care. I've done a few bath goodies and I loved them I've heard great things about their masks... methinks it's near time I place an order. The concept is totally new to me but I get the purpose. I do like Dermalogica so I'm interested in trying this out! I'm all about the double cleanse! I will keep this in mind when I go to replace my cleanser. I hope that you try it. Dermalogica makes such splendid skin care. Dermalogica makes such good products! I use their cleansing oil, and it does not disappoint! I would love to try their cleansing oil! I like that they included the scrubber mitt. Ooh a balm! I've used their cleansing oil with the gel, but I love the idea of this balm. I guess I always do double cleansing, I just never relaxed it! This brand has been on my to try list for way too long. I need that mitt! I like that it comes with a mitt to really get in there and clean without being abrasive. I'll have to be on the look out for this when I'm out shopping next. The mitt is so soft but it really gets the job done. That little mitt is the best thing ever!